Canadian actor, Christopher Plummer, has just been awarded his first Academy Award for his role in the impressive film Beginners, written and directed by Mike Mills and based on Mills’s experience with his own father who, following the death of Mills’s mother, admitted he was gay, had been gay his entire life, and then, shortly thereafter, discovered he too was dying. Christopher Plummer is 82 years old. Plummer has performed at the Stratford Festival, on Broadway, and in Hollywood, and he is widely-remembered for his role as Captain George vonn Trapp in The Sound of Music (1965). Well, here’s footage of Plummer speaking of Eugene O’Neill and then effortlessly, uncannily slipping into a performance as James Tyrone, Sr., in Long Day’s Journey into Night. It is, for lack of words capable of proper praise, arresting. And here’s the trailer for Mills’s Beginners, just because. 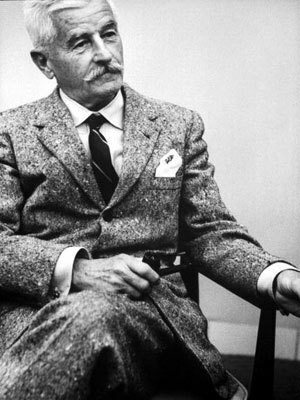 Edward Albee, Eugene O'Neill, Exorcism, Long Day's Journey into Night, The New Yorker, Who's Afraid of Virginia Woolf? 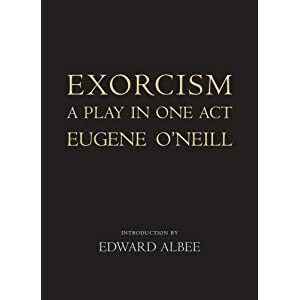 In October, 2011, the New Yorker magazine published a one-act play by Eugene O’Neill called Exorcism. At that time, one manuscript of the play existed. It had been staged once, at the Provincetown Playhouse in March, 1920, but O’Neill put a quick end to the production and, it’s believed, destroyed the scripts. It is an extremely personal piece; perhaps O’Neill couldn’t cope with how intimately exposed his personal life and pain were to an audience of strangers. One critic called it “uncommonly good,” but Exorcism quickly fell into obscurity and was largely forgotten. Five decades passed. Then, the single copy that the New Yorker got hold of was discovered in the personal archives of a screenwriter named Philip Yordan whose work was committed to film in the 40s, 50s, and 60s. Yordan died in 2003. His death gave new life to Exorcism. Yesterday – February 28th, 2012 – Yale University Press published Exorcism in book format for the first time, including a section of facsimile pages of the one manuscript in known existence and a forward by the fantastic Edward Albee, playwright of Who’s Afraid of Virginia Woolf? Exorcism is based on O’Neill’s own botched suicide attempt seven year earlier, in 1912, at the age of 23. Already, he was divorced and alienated from most of his family. He was drinking in a salloon called Jimmy the Priest’s, at 242 Fulton Street in lower Manhattan, an address which the events of September 11th, 2001, have since whipped off the map. Depressed, desperate, O’Neill tried to overdose on Venoral, a barbiturate. Familial unrest. Drug addiction. O’Neill would go on to further develop the work of Exorcism into plays we know him for today, like Long Day’s Journey into Night (1956). You can find more detailed information on this subject at the New York Daily News‘s book blog “Page Views,” as well as at the New York Times. I must add two more things about As I Lay Dying before moving on. First, how have I gone this long without providing a post involving some mention of graphic art? Seriously? The result is something beautiful – a collection of haunting images and ingenious composition. And finally film. I want to ignore this, to pretend it isn’t happening, but I can’t. Ubiquitous Hollywood hack, James Franco, is adapting As I Lay Dying as a feature film. The good news: Michael Shannon may be involved. The bad news: James Franco is involved. Let’s end with the good: Michael Shannon acting in Sam Mendes’s 2008 film adaptation of Richard Yates’s deeply brilliant and even ‘deeperly’ tragic Revolutionary Road. Too much time has passed and here I’ve neglected to post anything in a couple weeks. 2012 has caught me unprepared. I had some catching up to do regarding the work of Emily Dickinson and now I have to catch up on Frost and Stevens, then on to Faulkner. Life is transitory. We pass through it. We go and we go and as we go we see things and approach things made by human hands, artifacts of our existence and activity on earth, amid an entire world of longer-lasting things not made by human hands and we pass the artifacts we make and we may regard their presence but we keep going because we have to. What else can we do? Ultimately, monuments crumble. Mountains remain. I mean all this is the most positive way. It’s not tragic. It is what it is. There’s beauty about it. 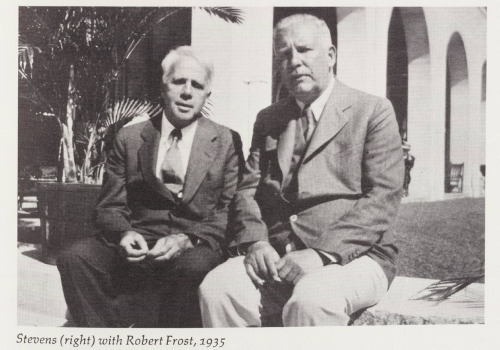 At least, that’s how I receive some of the poems of Robert Frost. 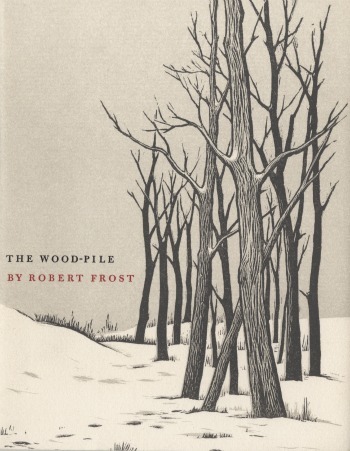 Its how I receive the two Frost poems we’ve covered in lecture: “Stopping by Woods on a Snowy Evening” and “The Wood-Pile.” Especially “The Wood-Pile,” which, coincidentally enough (and I’m often amused by coincidence) Frost wrote in February 1912, exactly one hundred years ago. Stevens, I think, produces something similar in theme but is different in delivery than Frost. Reading Stevens is like watching scenes from a Terrence Malick film, the segments that are a quiet wandering through the pastoral and are thus loaded with sensory and emotional power not imposed by an immediately intelligible narrative form but inspired by surrendering to something larger than oneself, something that moves by its own rhythms. Frost, on the other hand uses form and narrative in a more obvious sense, but masterfully, though he, too, is interested in rhythms of nature and time independent of human imposition. Frost’s power over narrative form in his poems plays, I feel, a large part in his ability to pose questions of such philosophical depth by such concise means. Frost’s power over a more recognizable form achieves at least an equal sensory and emotional response in the reader as Stevens’ oblique approach. If Stevens’ poetry is like Malick’s film, than maybe Frost can be likened to early Spielberg (the good Spielberg) – commanding ostensibly recognizable form and, in doing so, demonstrating the ability therein to arouse the same depths of sensation by different means than his colleague. One watches, the other tells.